Hardcover, 8.25 x 11 in. / 240 pgs / 165 color / 61 bw. Edited by Gabriele Betancourt Nunez. 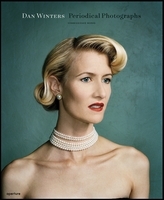 Portraits in Series: A Century of Photographs takes the long view on the photographic portrait. Reaching back to photography's beginnings in the daguerreotype and the talbotype, it looks at the conventions and requirements of Victorian portrait photography, and tracks the genre's evolution right up to the digital present. 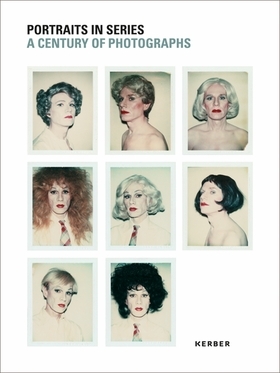 A selection of works from 40 international contemporary portrait photographers is presented here, among them Diane Arbus, Rineke Dijkstra, Patrick Faigenbaum, Hans-Peter Feldmann, Lee Friedlander, Nan Goldin, David Octavius Hill and Robert Adamson, Roni Horn, Theodor and Oscar Hofmeister, Peter Keetman, Helmar Lerski, Annie Leibovitz, Michael Najjar, Nicholas Nixon, Heinrich Riebesehl, Judith Joy Ross, Thomas Ruff, August Sander, Cindy Sherman and Andy Warhol. Each of these photographers and artists has almost reinvented the portrait for the needs of a particular historical moment, eliciting vast historical and cultural implications from that seemingly most obvious of subjects, the human body. "What intentions are being pursued by photographers who concentrate upon a motif such as the portrait and work with the formal principle of the series over a lengthy period of time? Do portrait photographers working in series wish to foster, through their structure presentation of similar motifs, a comparative way of seeing in the viewer? Or does their interest in portrait series arise sooner out of skepticism vis-à-vis the fragmentary character of the individual image? Is it possible, with a larger number of pictures, to demonstrate connections that complement the information communicated by one picture on its own? Or can the preference for working in series be traced to the medium of photography itself and its possibility of mechanical reproduction?...Does the individuality of those portrayed in a series perforce suffer a loss of meaning, or are there portrait series that want to be understood as a confession of faith in the individual?" Ulrike Schneider, excerpted from Variations on a Theme--Reflections on Serial Portrait Photography in Portraits in Series. FORMAT: Hbk, 8.25 x 11 in. / 240 pgs / 165 color / 61 b&w.